Under the refreshed plan, Vodafone prepaid customers will get 1.4GB 4G/3G data per day along with unlimited calls capped at 250 minutes per day and 1000 minutes per week. 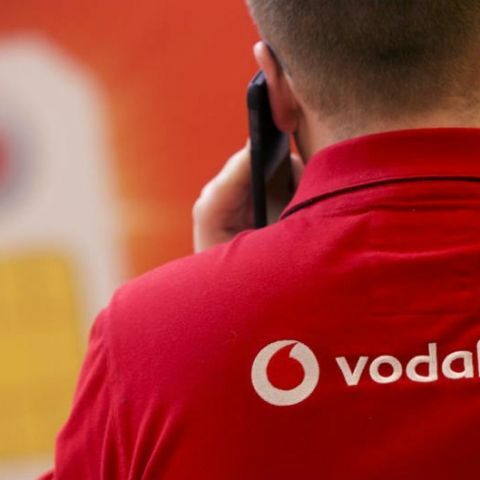 Vodafone has revised its Rs 198 prepaid recharge and is now offering 1.4GB of daily 4G/3G data to its customers, instead of the previously offered 1GB data per day. Under the new offer, users will also get unlimited local and STD calls (capped at 250 minutes per day and 1000 minutes per week) with free national roaming and offer 100 free national SMSes per day with a validity of 28 days. It should be noted that this new revamped plan is only valid for select circles and one should check before recharging. This revised plan by Vodafone directly competes against Airtel’s Rs 199 prepaid plan and Jio’s Rs 149 plan. Airtel recently refreshed its Rs 199 prepaid plan to offer 1.4GB daily data along with capped free calling and SMSes. Jio's Rs 149 prepaid plan was also revised and now offers 1.5GB data per day along with unlimited calling, 100 SMS and free access to the company’s apps like JioTV, JioCinema and more. Both the Airtel and Jio plans come with a validity of 28 days. Jio also has a prepaid plan priced at Rs 153 exclusively for its JioPhone customers, which offers same benefits as the above mentioned plan by the company. Speaking of JioPhone, Reliance Jio has resumed the second round of pre-bookings for the 4G feature phone. It can be pre-booked via the company’s website and a buyer can now book up to 5 JioPhones against a provided mobile number. The handset is also up for pre-bookings via the MyJio app and is priced at Rs 1,500. You can read more about it here.